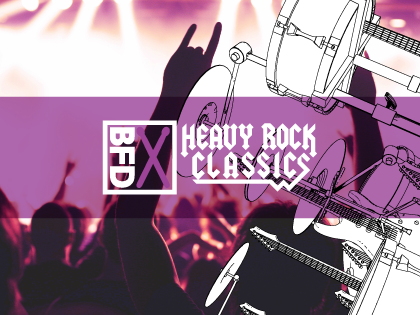 Heavy Rock Classics is a BFD3 Groove Pack featuring authentic drum part recreations from all-time classics of the heavy rock genre. Alongside meticulously recreated Groove patterns, Heavy Rock Classics comes complete with carefully constructed presets that bring these sounds to life in your BFD3 installation. The included Groove palettes are produced by experienced composer Jacques Mathias and make it easy to build song structures with intro, verse and chorus sections. Drum sounds are recreated in BFD3-format presets with precision tone-sculpting using the internal effects. Heavy Rock Classics is perfect for instantly dropping into your tracks, for play-along practice sessions and also for learning more about drum mixing techniques.